From upside down houses to aircrafts-turned-vacation homes, people have shown time and time again that we can be very daring when it comes to creating our personal spaces. Newlyweds Christoph Kaiser and Shauna Thibault aren't an exception to the rule. Located in the heart of Downtown Phoenix’s Garfield Historic District is the Silo House. 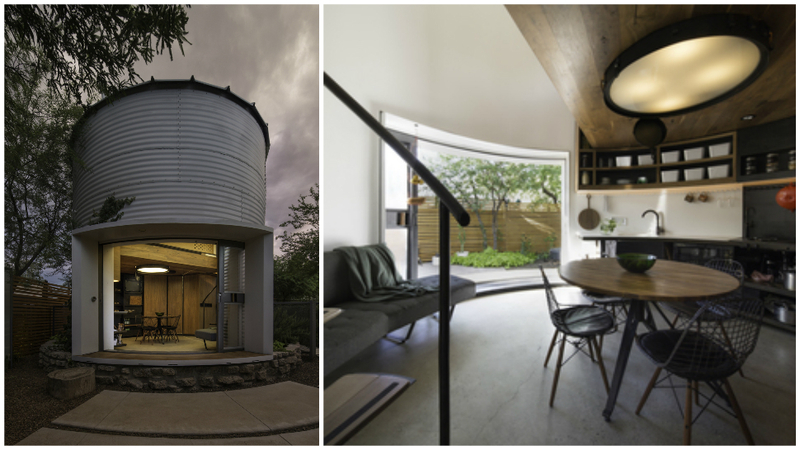 What was once a 1955 corrugated steel-wall grain silo has been converted by the couple into a 340 square feet (around 32sqm) home. The two-storey walnut and black steel structure is simple and spacious—it has subterranean air ducts that keep their power generators quiet, an operable skylight that cools the space during the summer, and secret storage spots for all their belongings.